The Triflow Belgravia is one of our most popular filter tap models. Its exquisite design is complete with a 360° rotating, classic arched spout. 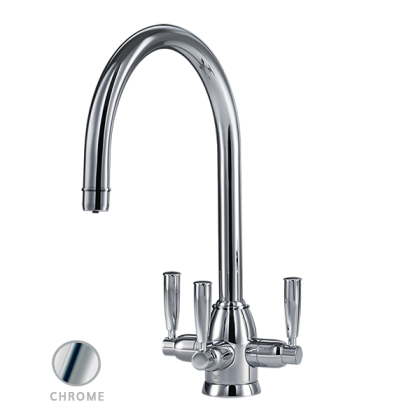 This filtration tap, with durable stainless steel housing, is a great eye-catching addition to your kitchen. The tap provides hot, cold and filtered drinking water to the household through a dedicated waterway within a single spout, without cross-contamination. Use with our easy to use Katadyn filters to ensure you have fresh and clean water on tap.